These incidents are becoming more common, and although they are still rare compared with other shooting sites, incidents have increased in health care facilities. Agencies such as the Federal Bureau of Investigation, The Joint Commission, and the Emergency Nurses Association have emphasized that an action plan and training are essential for hospital preparedness. Here are some resources to help us all be prepared for an active shooter incident. Many victims say, “I didn’t know what to do,” or “I was just waiting my turn to be shot.” The important lesson here is to tell people in an active shooter situation to do something. Time is a valuable commodity, and by doing something, one takes some time away from the shooter. 63% of active shooter incidents are in commerce or an education environment, but no place is off limits. Active shooter incidents typically evolve quickly and end (historically) within 10 to 15 minutes; 36% end before the police arrive. 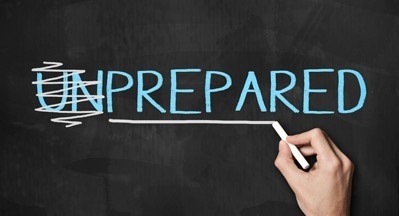 Mental preparation – Chaos and panic will occur. As best as you are able, trust your instincts, breathe, and remain calm. Sounding the fire alarm is NOT recommended. The potential negative consequences outweigh the benefit. People are complacent with fire alarms. Role of police – Police officers are there to neutralize the threat, not treat injured. Run – If you have an opportunity to escape, do so. Hide – Don’t let anyone in. Fight – Fight for your life with whatever you have. There is power in numbers and the shooter is typically not looking for a fight. A survey by the Journal of Emergency Nursing shows that out of 202 Emergency Nurses and staff members who participated in active shooter training, 92% felt better prepared to respond if a shooting occurred at their facility. Every healthcare facility is required to have an emergency action plan. Most of them conduct training exercises to prepare staff for emergency situations such as a fire emergency or bomb threats, but when it comes to dealing with an active shooter situation, most Nurses have no idea how to react because they aren't prepared for it. We hope this information is helpful and that you never have to use it. If you have anything you’d like to add, please share it here.